Tired of precious honey frames in dirty supers, old coolers or cheap office totes? We sure were. Every time the frames stuck together or gashed each other open, we swore we’d make something better! Something designed just for holding frames securely – something food-grade. No more grass, paint chips, spider webs or bug parts. No more honey lost in a dirty cooler. Harvest equals joy, and profit. 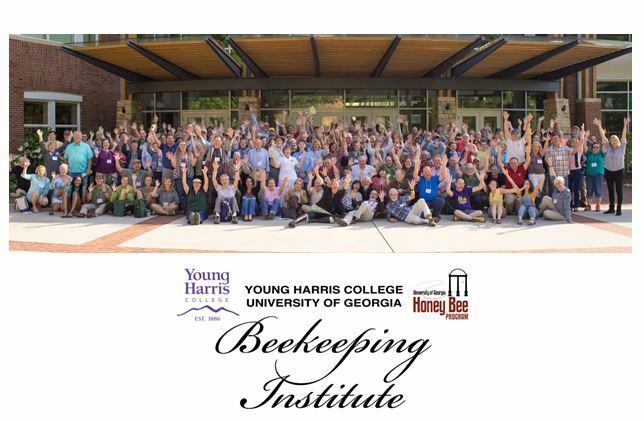 Beekeepers work hard – we wanted a better solution for our customers and for ourselves! 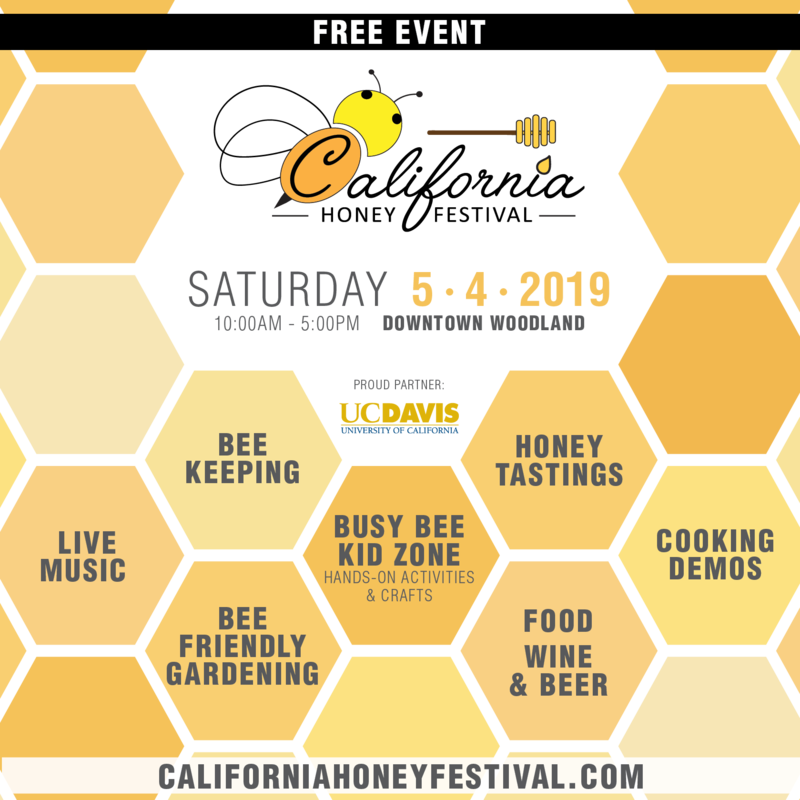 Today’s consumers, and beekeepers, will appreciate bringing the harvest home in a food-grade HDPE, BPA-free storage tote designed for beekeeping. The large notches hold the frames apart, so even the wonky or extra-wide ones will fit. Additionally, the lid secures the frames from the top. The Hive Butler™ is very heavy-duty and durable. The extra-large rim was designed in consideration of gloved hands. Carry it from any side, no sag or twist. Stackability was a priority as well. 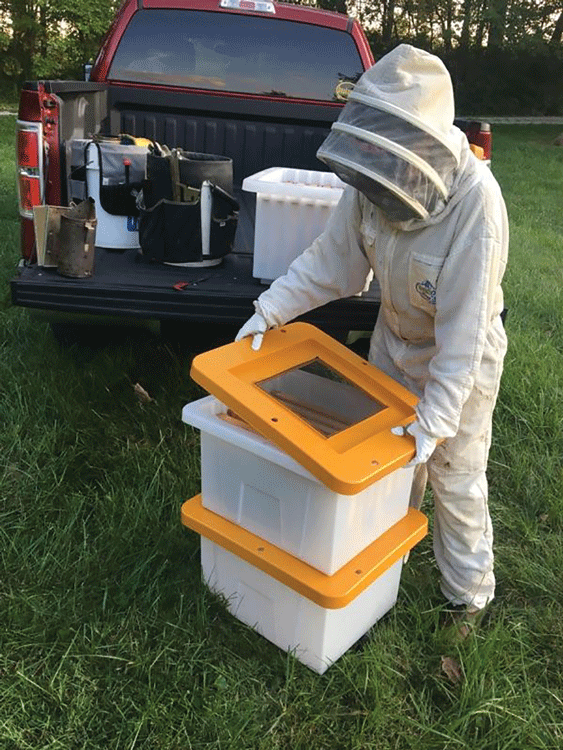 Even with an 80lb-max load, the Hive Butlers™ can be stacked up to four-high. No slip and slide, with the foot and deep lid well holding the stack securely. The opacity of the box allows light in, which helps deter wax moths while you store your drawn comb in the off-season. (The Hive Butler™ is freezer safe.) 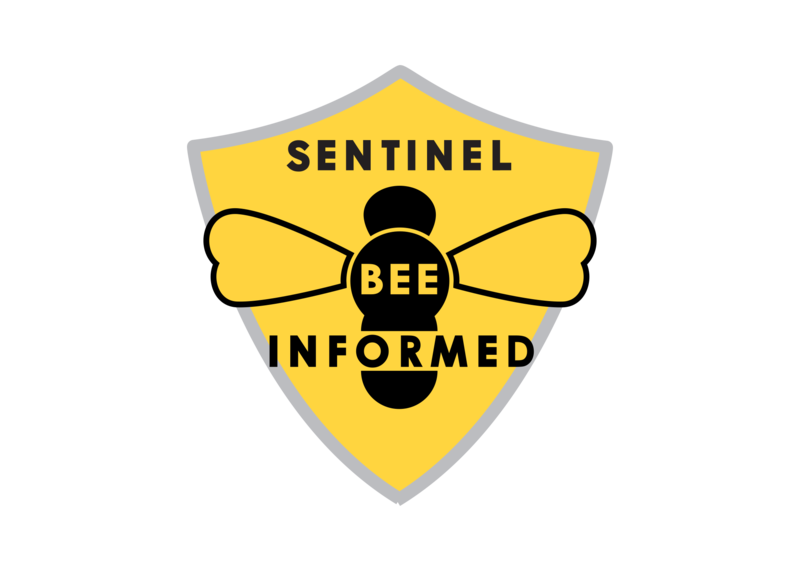 Of course, we cannot guarantee that you’ll never have a wax moth, but the convenient zip tie holes, and large contact area between the rim of the box and lid will be a great deterrent to varmints large or small. We knew the Hive Butler™ needed to work year around for customers, so we designed the lid to have an optional, removable center pane, to allow installation of a screen top for ventilation. Now you can use the Hive Butler™ in the beeyard! 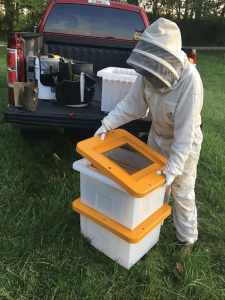 Take it with you on your hive inspections – as you remove frames, stow them safely in the Hive Butler™, allowing the screen lid to keep everyone safe – (you and the bees!) If you save one queen from flying off or getting stepped on, you’ve paid for your Hive Butler™! Need to make a split? 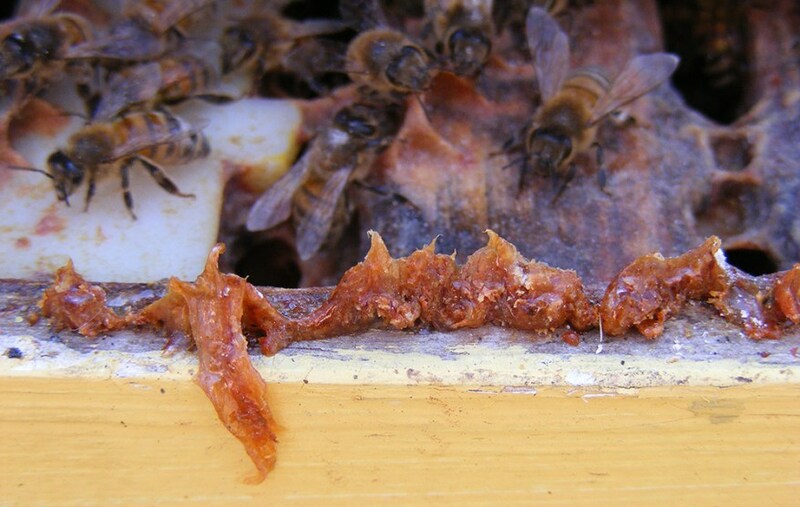 We gave you 1.5” below the bottom of a deep frame, so you find a frame with a queen cell on the bottom, it can safely be transported to the new hive, or yard. Use those zip tie holes to secure your lid when moving bees on the frame. 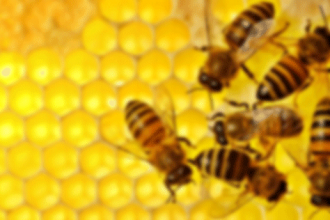 Collecting a swarm? Carry the 8lb. HB with one hand up the ladder. Drop them in on drawn frames. The lid snaps securely and the frames aren’t going to slide as you head back down. No more heavy, slippery wooden ware on the ladder. The Hive Butler™ will also make a great un-capping tub, and with the solid lid on, should solar melt your cappings in the hot sun. One commercial beekeeper told us he was going to use it as a scoop box, when making packages of bees. 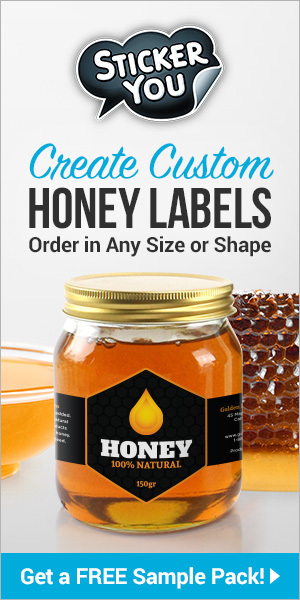 Designed by beekeepers – for beekeepers, and produced entirely in the U.S.! 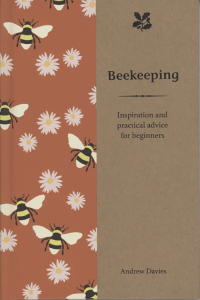 Beekeeping. 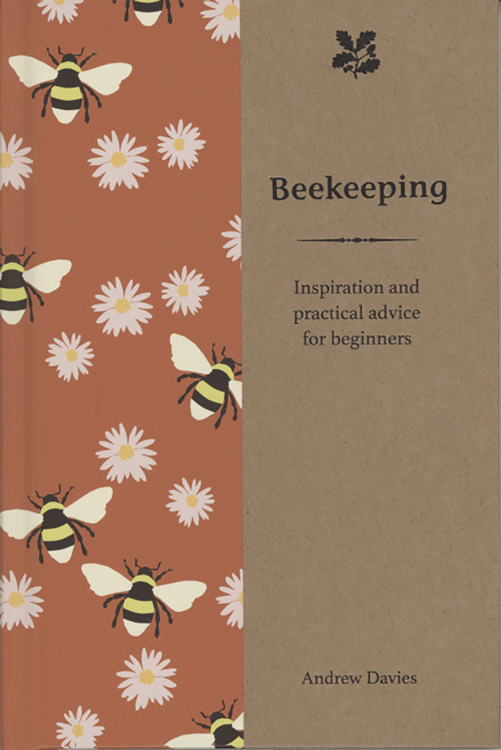 Inspiration and practical advice for beginners. By Andrew Davies. Published by The National Trust Books, a registered UK Charity. Available at www.pavilionbooks.com. ISBN 978-1-90988-198-3½” x 7½”, 95 pgs, hard cover, black and white and color drawings. $12.95. VENOM. The secrets of nature’s deadliest weapon. 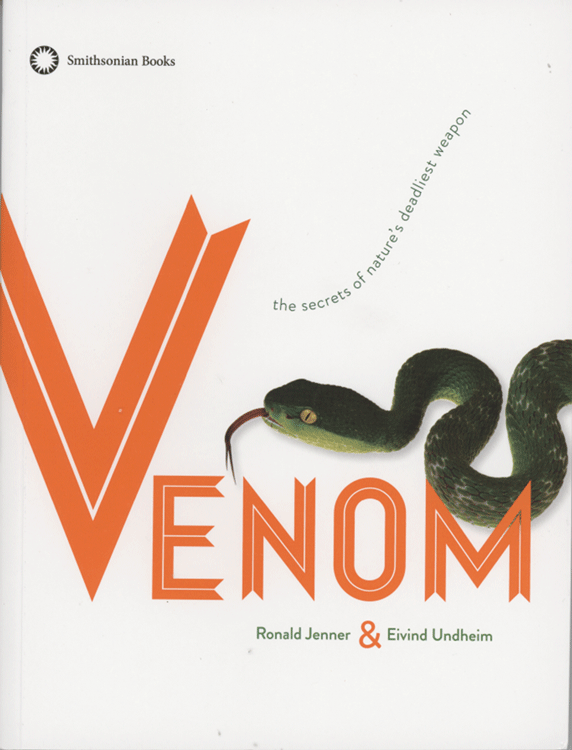 By Ronald Jenner and Eivind Undheim. Published by Smithsonian books, www.smithsonianbooks.com. ISBN 978-1-58834-454-0. 6¾” X 9”. 208 Pgs. Color throughout, soft cover. $19.95. 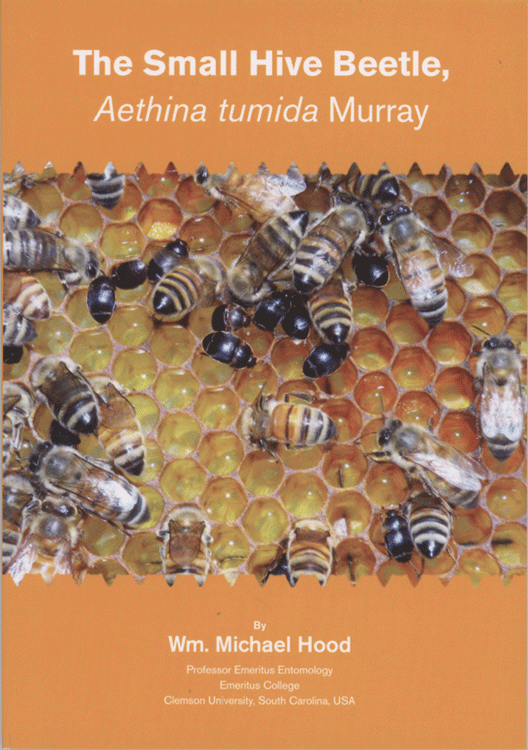 The Small Hive Beetle, Aethina tumida Murray. By Wm. Michael Hood, Prof. Emeritus, Clemson U. Published by Northern Bee Books, www.northernbeebooks.co.uk. ISBN 978-1-912271-07-8. 6½” X 9½”, 139 Pgs, color throughout, soft cover. $15.75. 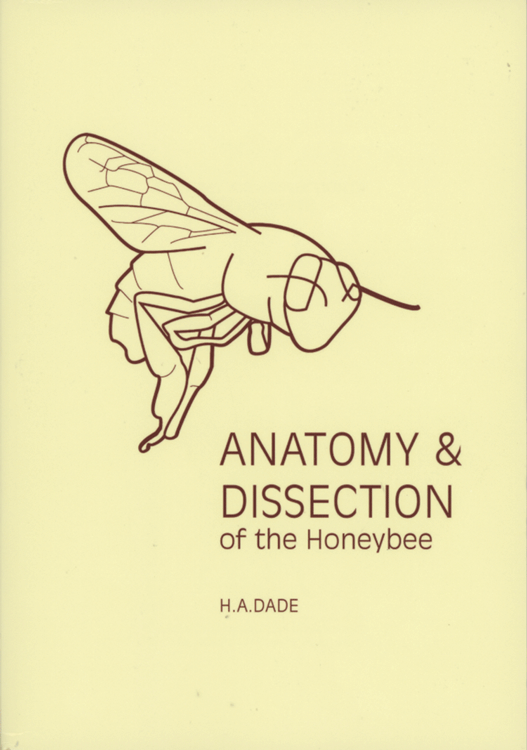 Anatomy & Dissection of the honey bee. H. A. Dade. 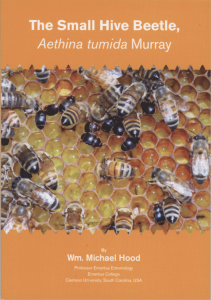 Published by Northern Bee Books and The International Bee Research Association. 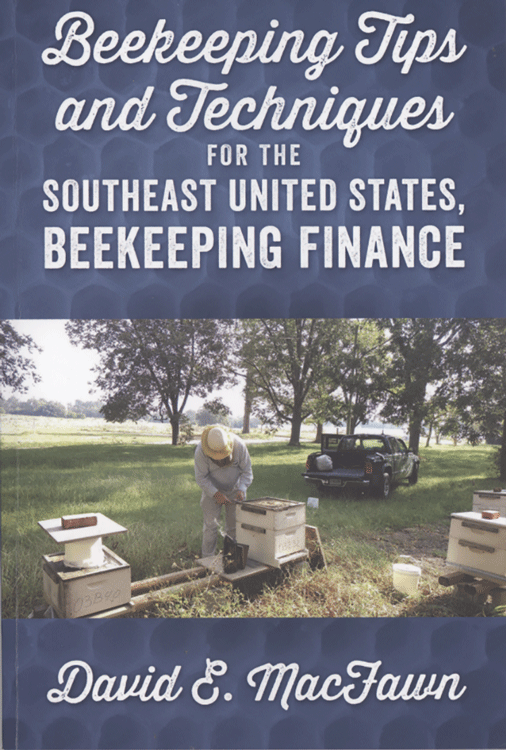 ISBN 978-0-86098-280-7. 196 pgs., black and white line drawings. Soft cover. Available at bookstores and Amazon, for $37. 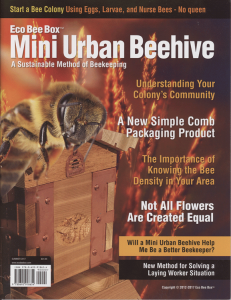 Mini Urban Beehive. A Sustainable Method of beekeeping. Albert Chubak. 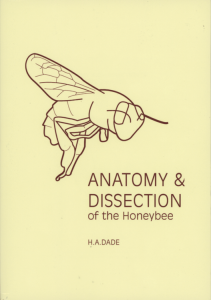 Published by EcoBeeBox. www.ecobeebox.com. ISBN 978-0-692-91865-4. 8½” X 11”, 40 pgs., color throughout. $24.95. 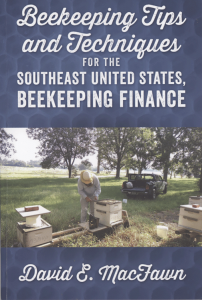 Beekeeping Tips and Techniques for the Southeast United States, and, Beekeeping Finance. David MacFawn. Published by Outskirtspress, Inc. www.outskirtspress.com/bookstore. ISBN 978-1-478-79057-0. 6” x 9”, 145 pgs., color throughout, soft cover. $24.95.